More than 10,000 Khorat Thai people live in Nakhon Ratchasima Province in central Thailand. They mainly inhabit two large villages, Ban Nung Thap Prang and Ban Nong Samrong, both in the Chok Chai District about 20 kilometres (12 miles) south of the provincial capital. Approximately 4,000 Khorat Thai people live in each village. A few thousand Khorat Thai live in smaller villages in and around Nakhon Ratchasima City. The Khorat Thai people themselves believe that they are descended from Thai soldiers sent from Bangkok to Nakhon Ratchasima in 1827 to fight against Lao troops. The Khorat Thai attacked and pushed the Lao back across the Mekong River. 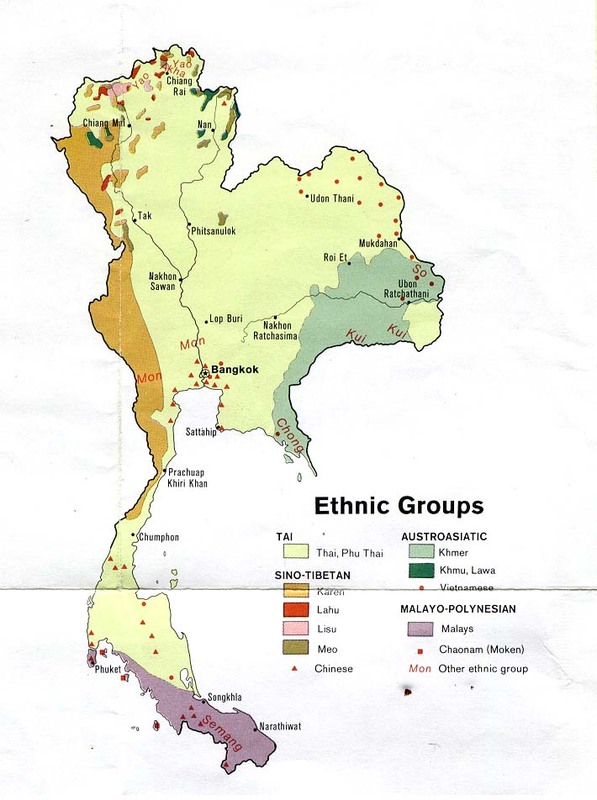 This group does not appear on most ethnographic lists of groups in Thailand because their language is only considered slightly different from standard Central Thai. They do, however, consider themselves a unique ethnic group. Despite being surrounded by Isan (Northeast Thai speakers), the Khorat Thai speak Central Thai. This sets them apart from their neighbours and creates a strong sense of group cohesion. Elderly Khorat Thai women dress differently from other Thai women. They wear the traditional Khmer-styled chong kaben, 'a long piece of cloth wrapped around the waist and down to the knees, from where it is pulled back between the legs and tucked in at the waist under a silver belt. Old Khorat Thai women report that their mothers decorated themselves with silver anklets and gold armbands and necklaces.' In the past, Khorat Thai men were skilled hunters of deer, wild pigs and other animals, but these have become all but extinct in the area due to over-hunting. They have been forced to feed their families through agricultural means, and now they only hunt for small animals like birds, snakes and rats. Very few Khorat Thai have believed in Christ, and there has been little gospel witness among this proud and needy people group. Scripture Prayers for the Thai, Khorat in Thailand.